2015 may be your year if you are thinking about refinancing or buying your dream home. In spite of the fact that interest rates on home loans are at a 19-month low that puts millions of Americans in a prime position to save large amounts of money, many still believe getting a mortgage loan is difficult, maybe even impossible. That feeling is untrue. The problems that plagued home buyers following the housing market crash have left their mark on the American psyche. It has made it hard for people to believe they can once again get the homes they want, or find affordable resources to finance existing mortgages at better rates. However, those who keep up with the current trends and market changes are aware of the bright future that exists now for all U.S. consumers. Beginning in early 2014 lenders have told government lending institutions that they have loosened their home loan guidelines. Ellie Mae, the lending software provider, keeps track of the industry averages and reports massive numbers of new loans getting approved without a hitch. In addition to the banking industry making it easier to get loans, programs such as the FHA for home buyers with credit numbers over 580 it is easier than ever for home buyers to get great savings. The beliefs that many Americans have about the mortgage industry fails to see the low interest rates, conventional mortgages that ask for less documentation and many government backed loans including the USDA, FHA and VA loans. With home values going up and interest going down, there has never been a better time to apply for a mortgage. The monthly survey by Fannie Mae shows that consumers are largely unaware of the current value of their homes. They have remained stuck in the feeling of loss due to the past, and possibly being underwater in their mortgage, and have failed to see the evolving scenario around them. In their survey, Fannie Mae asks consumers to predict what they feel their home value will be in the coming year. While many do expect the value to rise again, most undervalue the gain by more than one percent, and some even miss the mark by a wider percentage. While the average home owner felt their homes would go up about three percent in 2014, in reality most went up more than four percent and some even as much as ten percent. More surprising is how wrong consumers tend to be about interest rates. Last year, consumers told Fannie Mae they believed that the interest rates had bottomed out. However, in just the last 12 months, interest on home loans has dropped an additional 53 basis points, equivalent to 0.53%. To be fair, it can be difficult, even for economists, to predict the future of any financial industry. It is harder still for the average consumer, tied to their emotional feelings of past events. Be that as it may, the facts is the atmosphere in the mortgage industry has improve and now is a great time to consider a new home or refinancing to get better rates. Using the market emotions to get great deals is a good way to save money. Smart home buyers can see that with reports like the November 2014 National Housing Survey, home owners only expect the value of their homes to go up about 2.8% in the coming year. That means that they may be drastically undervaluing their properties and asking far less than the true value of their homes. In fact, there has been a 4-point reduction in home owners that feel it is a good time to sell. Seller confidence is falling which creates the perfect opportunity for buyers. Home owners who pay attention to the market trends can see it is still a seller’s market, but that is largely due to the fact that many uniformed sellers are afraid to list their homes, and that is keeping inventory low. With demand for homes on the rise because of the low interest rate, prices are going up. Homes priced in the proper range are in line for real competition. There is an active field for battle in the real estate arena with home loan interest rates at a 19-month low. Buyers can afford to bid higher and still get a great deal and qualify for their mortgage. This type of market creates a wonderful opportunity for those on both sides of the transaction. Sellers are getting good value for their home and buyers are getting great deals. Fannie Mae continues to ask home owners about future rates on 30-year conventional home loans. A mere 4 percent of those polled believe that interest rates will go down in the next 12 months. Most think that interest on home loans will be higher in 2015. These results do not really surprise those in the industry. Consumers have been making that same relative prediction since 2011, and most of that time they have been wrong. With the exception on one mild spike between May and September in 2013, mortgage interest rates have been on a slow but continuous decline for the past five years. Economist and industry specialists have little expectation that it will change direction now. 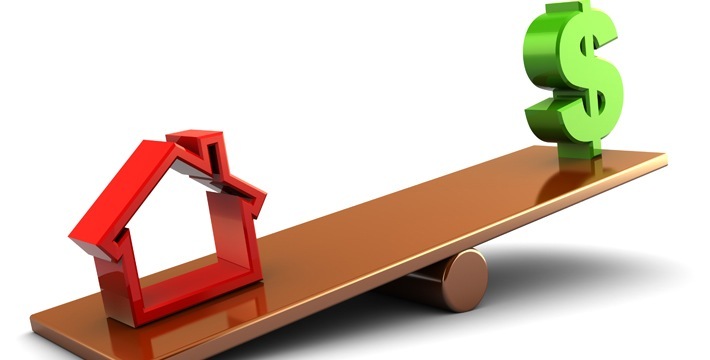 At the moment, Freddie Mac is showing fixed rate mortgages at 3.93% across the country when home buyers are willing and able to pay as little as 0.5 discount points in addition to their standard closing costs. That amount has dropped from 4.47% in December of 2013. Also, interest rates have held steady in the 3% area for the last month. These rates are allowing the average HARP loan applicant to save about 30% each year on their home loans. Those with FHA or VA loans are saving even more. Additional home loan programs are entering the scene like the Fannie Mae 97 which resembles the HARP 3 loan making the current real estate market very attractive for consumers today.